It’s violent, but not vulgar. It uses hard science and hard emotions. 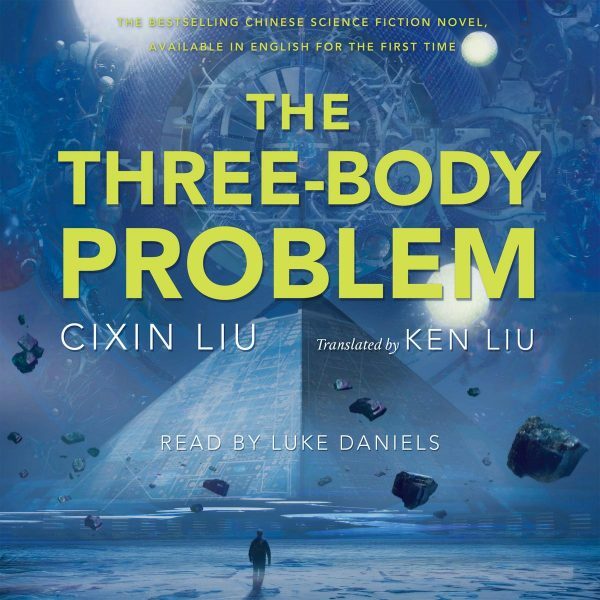 The Three Body Problem is a grand scifi that plunges into granular detail. Its range of scope is astounding when you look back at it. From the Cosmos, to the subatomic. From individuals to whole societies, cultures and civilizations. How Cixin Liu ushered the plot along with very little friction is worth more in-depth study. But for now, I want to gush on what hard working fun this story was. In the revolution, you couldn’t be too radical, as long as you were radically communist and explicitly anti-Western. Even in science, the most advanced theories were outlawed and the scientists who studied them were punished, even executed. Especially theoretical sciences which were “clearly” developed by western capitalists for commercial advantage. After a little, I began wondering when sci-fi elements would be introduced. The actual science, although a pillar of the plot, is slowly dripped in. The first section of the book is devoted to Ye Wenjie (Wen seea), whose father was a theoretical physicist, executed by fanatical teenage revolutionaries. Ye herself is an astrophysicist. Just as you begin to get attached to her, and just as some science is introduced, we skip forward to present day China (or maybe the near future). In the present, scientists are committing suicide at an alarming rate because their findings aren’t lining up with any theories. Labs and particle accelerators running the same experiments are finding completely different results. Science seems to be broke on a grand scale. Military officials from around the globe convene a secret meeting. They believe someone is targeting scientists, or so they tell the man they think is next on the list, Wang Miao. Wang is skeptical, until what he starts seeing a countdown in the most impossible places. He can’t escape the clock. In the midst of the insanity, Wang discovers a virtual reality game called Three Body. The point of the game is to help a burgeoning civilization predict the movements of the their sun. The sun’s erratic behaviour throws the world into chaos at any moment, destroying civilizations, and stunting their growth. At first the game and Wang’s predicament in real life are seperate. I remember wondering what the two had to do with each other. But Wang and his attache, Shi, a city beat cop with all the grace and poise of a gravel road, investigate the problem before Wang and soon, Wang’s dilema and Three Body come together with some startling revelations. There are some hard, real emotions that you can’t blame anyone for having, including the antagonists. The characters are believably human, even as some of them act out against humanity. It’s ironic, survivors of the gruesome oppression of the revolution turning to oppressors from the stars to cure humanity of its own nature. I was angry with Ye when she steps forward in that meeting of the Earth Trisolar Organization and when the rest of her story is told. I get it though. She was a victim. Her situation was hopeless. And she was one of the lucky ones. But I was still angry with her. There were visually stunning moments too. As Liu imagined the unfolding of an atom into multiple dimensions, it conjured up captivating imagery. This scene reminded me of Ray Bradbury’s short stories, H.G. Wells, or even C.S. Lewis’s Space Trilogy, imagining alien worlds with physical laws and nature we can’t comprehend. A less theoretical, but similarly spectacular scene is the ETO’s tanker being shredded. Although it plays out much as I thought it would, to read a description of the event still made me gape. And then there’s Three Body, the game. It tracks with the development of civilizations. There’s danger of a civilization being destroyed each time the sun throws the world into chaos. The world in the game goes through hundred of civilizations, some reaching farther into scientific progress than others. Thinking on this scale, about how civilizations develop and fight for survival was a step back I don’t take very often. The development of a species, especially given a chaotic set of variables, forms a grand scale mystery that was just as gripping as the mystery of Wang’s countdown in the cosmic radiation background. After inviting the Trisolarans to Earth, knowing she just welcomed alien oppressors to invade, Ye murders her husband and Lei because they found out about the response from Trisolaris. Then she finds out she’s pregnant. The delivery is rough, and Ye has to recover in the village just down the mountain from Red Coast Base. Her time in this village is one of my favourite things about this novel. Amidst her anger towards humanity, after singlehandedly dooming the human race, Ye is confronted with the simple life of the village. The villagers are far from perfect, but Ye discovers beauty there. She almost begins to regret her decision to reply to Trisolaris. Almost. The Three Body Problem has one of the most satisfying endings I’ve ever read. With the ETO thwarted, all the secret messages from Trisolaris are revealed. But there’s no turning back. Humanity knows they’re not alone in the universe. Trisolarans are coming, with all their superior technology and wisdom. They’ve already pinned humanity, rendering science helpless with just two protons. Wang Miao and Ding Yi give up. The reality is they’ve already lost, even if the Trisolarans won’t be there for another 450 years. Their message to all of humanity, all at once was, “You are bugs.” But Shi shows Ding and Wang the swarming locusts that his home village has failed to defend against. This is “reality,” Shi says. Despite our superior intellect and strength, humans still haven’t conquered bugs. I loved this analogy. It motivated Wang and Ding, and it inspired me. Ye’s idea of using the Sun as an amplifier was exciting. I don’t know how scientifically sound it was, but I loved reading that whole sequence. The unfolding of the proton was spectacular and imaginative. That scene is the heart of Sci-Fi for me. It takes hard science (or accepted theory) and dives into the unknown with imagination and an educated guess. When Ye is introduced as the commander of the Earth Trisolaran Organization, it shocked me. That whole meeting and the face off between the extremists and the police had me riveted. Some of the deep science explanations were a slog, but they all had a purpose that ended up being pretty creative. What did you love / hate? Let’s compare notes, especially if you have any deeper insight into some of the science Liu used in the book. I love talking back and forth about which parts were well crafted and best positioned. It’s especially exciting when people have different ideas of what made the novel good or bad. So please, comment below with your thoughts.